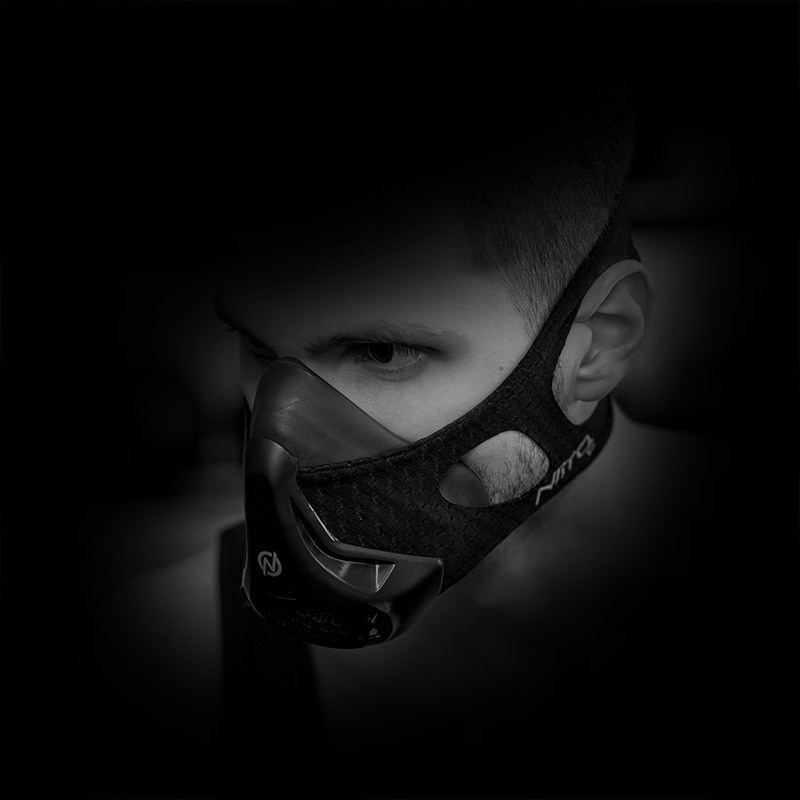 Our new training mask makes it harder for you to breathe. This means that your body needs to get more exhausting air into your lungs and your respiratory muscles are trained. A stronger respiratory musculature increases your performance during training or competition if you no longer wear the mask. This will make you stronger, fitter and faster in your sport! Altitude training is the practice by professional endurance athletes of training for several weeks at high altitude, preferably over 2,400 metres above sea level. At intermediate altitudes, the air still contains approximately 20.9% oxygen, but the barometric pressure and thus the partial pressure of oxygen is reduced. Depending very much on the protocols used, the body may acclimate to the relative lack of oxygen in one or more ways such as increasing the mass of red blood cells and hemoglobin, or altering muscle metabolism. After the Altitude training the body will grow more red blood cells to help ease the struggle of getting oxygen. These cells help carry oxygen through the body, which will result in better fitness/sports performance. The effects of the Altitude training are such as increased (EPO) levels, and higher VO2 max . Altitude training can produce slow recovery due to the stress of hypoxia. This is what our training mask simulates by the special HASS system. Why to use the training mask? sleeping better (which helps repair the body). During the use of the Nitro2 HAS training mask we suggest you to train lightly to acclimate you body to lower oxygen levels. You can get the best effects and the fastest improvement if you do low intensity training with the mask and high intentsity training with the further nitro2 supplements: (Nitro2 oxygen tank, NitroX Pre workout shot, Nitro+ Stamina Isotonic powder). The advantage of HAS training is that the muscles get a natural boost when more oxygen is available during trainings and competitions without the mask.